Biswarup Pathak grew in a village (Fulkushma) of Bankura, West Bengal and finished his childhood education from there. He obtained his B.Sc. (Chemistry, 2000) from Bankura Christian College and M.Sc. (Physical Chemistry, 2002) from Banaras Hindu University (BHU). After Post-Graduation from BHU, he joined (August, 2002) for Ph.D. studies under the supervision of Professor E. D. Jemmis at Hyderabad Central University and then moved (May, 2005) along with him to Indian Institute of Science, Bangalore. During his Ph.D., he has been involved in the computational studies on structure, bonding and reactivity of boranes, carboranes, metallaboranes and transition metal complexes. Soon after his PhD, he joined Prof. Jerzy Leszczynski (Jackson State University, USA) for the postdoctoral studies (January, 2008-July, 2009).These studies involve to understand the mechanism of (i) CO-releasing molecules in human body (ii) QM/MM study for biological agents (nerve agent) and (iii) Hg reacting with several atmospheric gases. After finishing his postdoctoral term at JSU, Dr. Pathak joined (September 2009-May 2012) Prof. Rajeev Ahuja at Uppsala University, Sweden. Soon after his joining, he received Wenner-Gren postdoctoral fellowship (January 2010-December 2011) to carry out the DNA sequencing studies through solid nanopores. 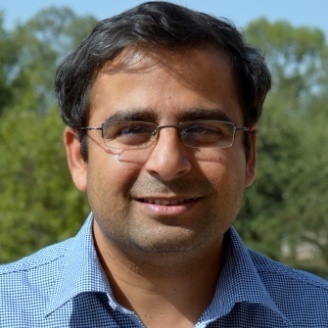 During his stay at Uppsala University, Dr. Pathak has gained experiences of using advanced computational methods to work on various solid state materials for clean energy (Hydrogen storage, Photocatalysis, Fuel Cell, Li-ion Batteries and Solar Cell) and biological (DNA sequencing) applications.